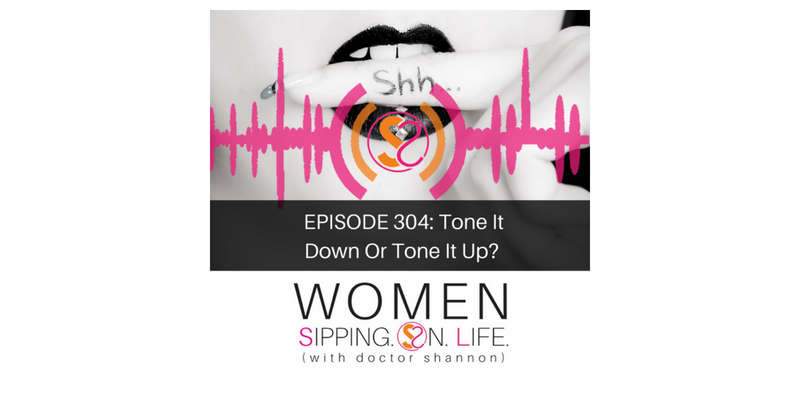 EPISODE 304: Tone It Down Or Tone It Up? Today I show you how to give all your “voices” equal opportunity air time, so you can experience full expression of of YOU in all areas of your life. This is the key to finding your natural BALANCE. Allow yourself to hear yourself. Listening to your heart…starts with hear for a reason. Are you willing to start listening to HER? Give HER a chance to express herself. Tone it up, my dear. Tone it up.